Our plastic folding chair, lightweight design, ease of cleaning and versatility, will make a practical choice in the home or for those interested in hosting any event. It comes in Black, White and Blue. Please choose your color and confirm your rental period. Weight 4 to 5 Lbs. This folding chair will make a practical choice in the home or for hosting outdoor events. 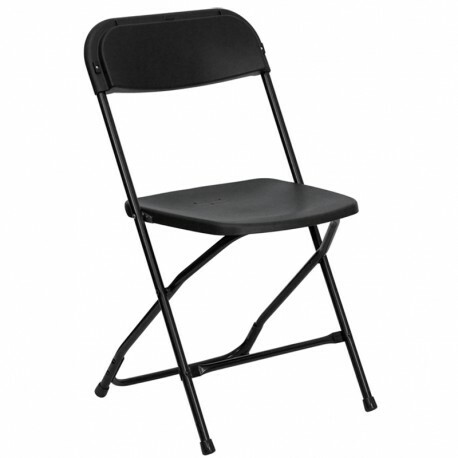 The textured seat ensures safe and comfortable seating. Drain holes in the seat assist in drying when chair is used outdoors. After an event you can stack them on top of each other or in a row. 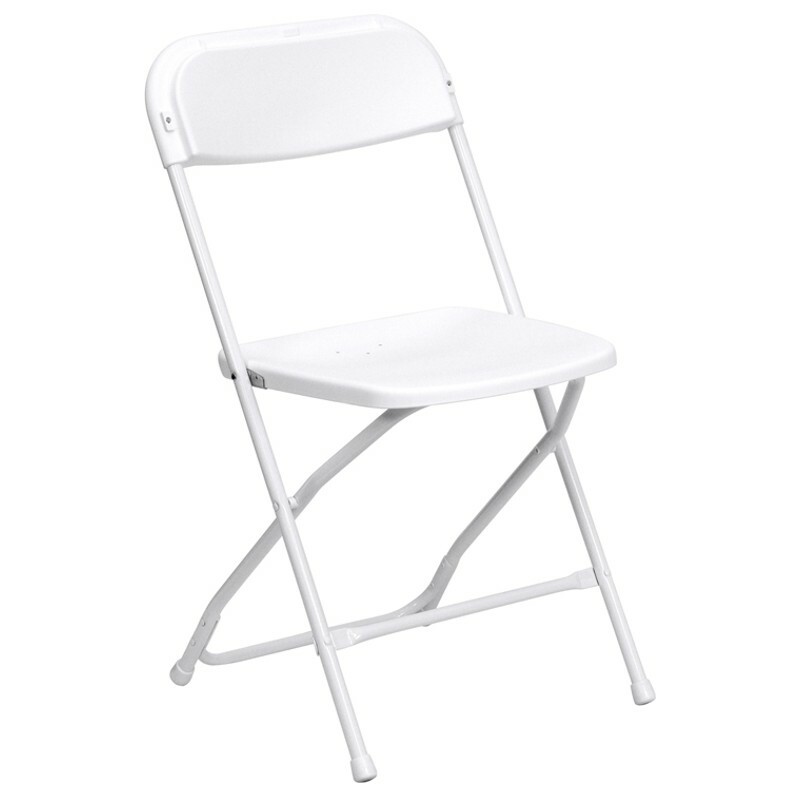 To make transporting even easier,equip yourself with the appropriate sized folding chair dolly to make event management more effortless.